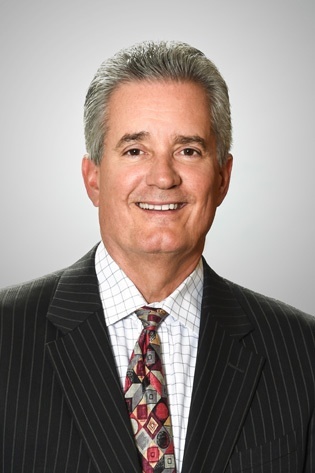 Gary joined the Firm in 1982 and has been a partner since 1988. He focuses his practice on representing private sector employers in discrimination, harassment and retaliation claims before state agencies, being the employer spokesperson and advisor in union collective bargaining negotiations, and defending clients in arbitration hearings under union agreements. He also advises clients in a wide variety of areas including hiring, drug/alcohol testing, policy drafting, employee discipline and terminations, as well as conducting training sessions for managers and supervisors concerning all aspects of employment law. Rated "AV" by Martindale-Hubble, the highest rating available given by other attorneys regarding legal ability and ethical standards. "Leading Lawyer" as rated by the nation's top lawyers. Defends unfair labor practice charges before the National Labor Relations Board and in the federal district courts. Defends employers in discharge and contract interpretation matters before independent arbitrators. Handles matters before the Illinois Department of Human Rights and other state agencies, as well as the Equal Employment Opportunity Commission, stemming from charges alleging all forms of discrimination and harassment. Conducts training sessions for executives, managers, supervisors and employees concerning discrimination and harassment avoidance. In addition, provides other training to employers on a wide range of topics including administration of the Family/Medical Leave Act, disability laws, social media and effective documentation/discipline practices. Advises employers and human resource personnel on the impact of state and federal laws, mass layoffs or plant closures, policy development and counseling on a multitude of day-to-day issues. Advises employers in successor situations and obligations related to the sale of assets or stock involving workforces represented by a union and the interpretation of existing collective bargaining agreements. Handles all types of union negotiations including initial contracts, renewal agreements, plant closures, and effects bargaining.